Discover 600+ diverse and relevant learning opportunities you won’t find anywhere else! Select from 175+ intensive workshops and 425+ targeted sessions in 5 program tracks tailored to the needs of each role in your school’s or district’s digital transformation: Future of Ed Tech Educator, Future of Ed Tech Administrator, Future of Ed Tech Information Technology, Future of Ed Tech Inclusion & Special Education and Future of Ed Tech Early Learning. 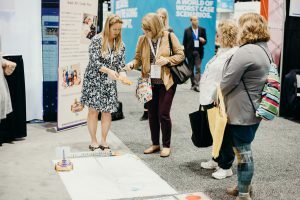 In addition to new Expo activities, FETC 2019 will start on Sunday, Jan. 27, giving you the opportunity to participate in professional development Workshops without time away from your students or staff. And, without incurring the cost of a substitute! You’ll have the opportunity to find fresh ideas and real-world solutions because the FETC program has the unique advantage of being curated by an experienced former educator and knowledgeable program chair, Jennifer Womble; a highly-regarded former Superintendent and education thought leader, Dr. Robert Avossa; an ed tech innovation expert and former State Educational Technology and Data Coordination Director, Bruce Umpstead; and Program Chair of the Future of Ed Tech Inclusion & Special Education Track, Jennifer Herseim along with the expert editorial staff at LRP Publications. For 40 years, LRP’s resources have provided real-world implementation ideas and expert advice in education administration, law and technology. With the help of FETC’s Program Review Committee, the FETC Program Chairs hand-select each speaker and presentation to ensure the content is timely and addresses the real challenges educators face. Learn more about LRP Publications.